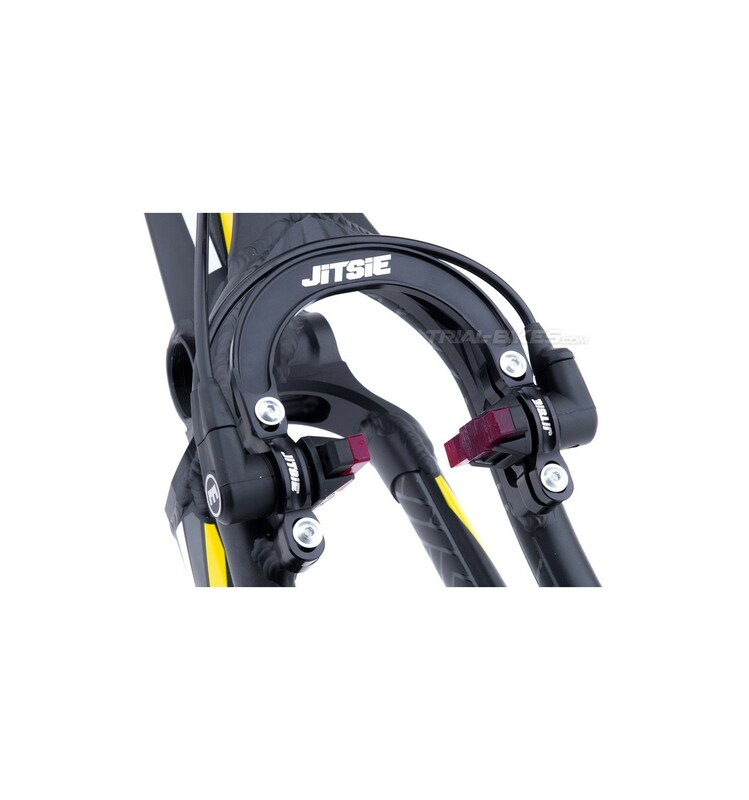 Frames 20" Frames 24" y 26"
- New integrated brake booster from Belgian brand Jitsie, designed and manufactured in Belgium for a top quality, the same as all the Jitsie Race products. - Exclusive design integrates the brake booster and top brake clamp in one single aluminium piece, therefore providing maximum stiffness. - Designed by the Jitsie Team riders, lead by 10-Time World Champion Dani Comas. 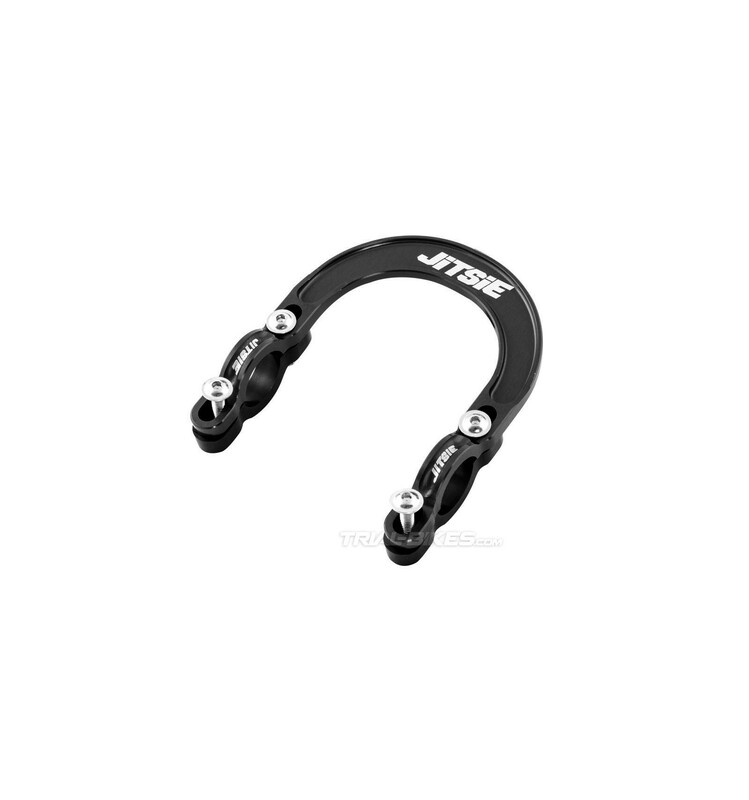 - Specifically designed for the rear brake (not suitable for the front brake). - There is no need to use the cylinder washer anymore: these brake clamps ensure the pads stay parallel to the rim (as long as the brake mounts are square). - A nice recess erases unnecessary weight while still keeping more than enough stiffness. - Wide profile to protect cross-over pipes on HS33 brakes from being hit. 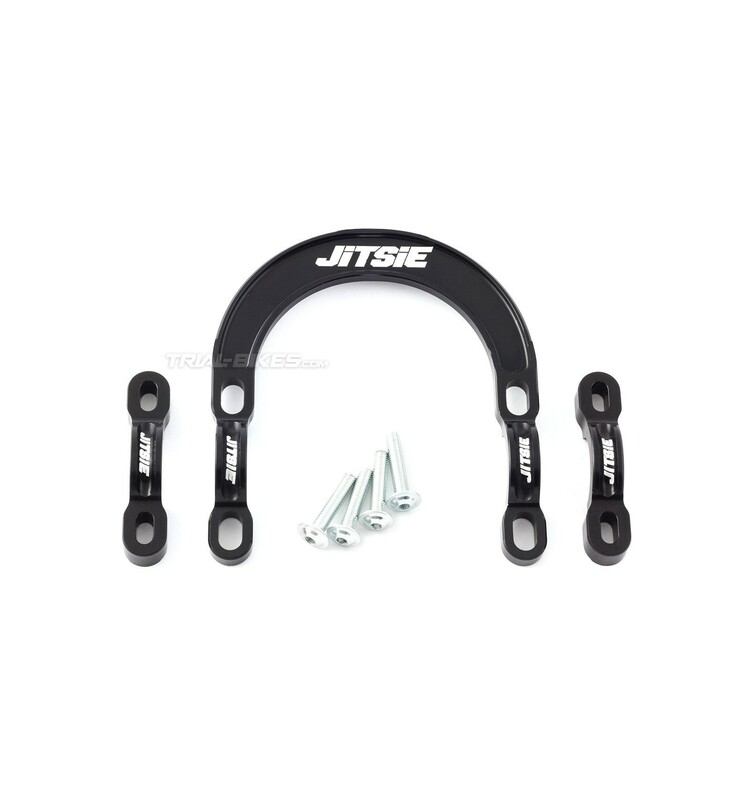 - Includes steel bolts with extra-large head to use with a 3mm Allen key, ready to fit. - Only suitable for those frames with a 100mm to 105mm spacing between mounts. - Two versions available, one of them for 20” bikes and another suitable for both 24” and 26” bikes. 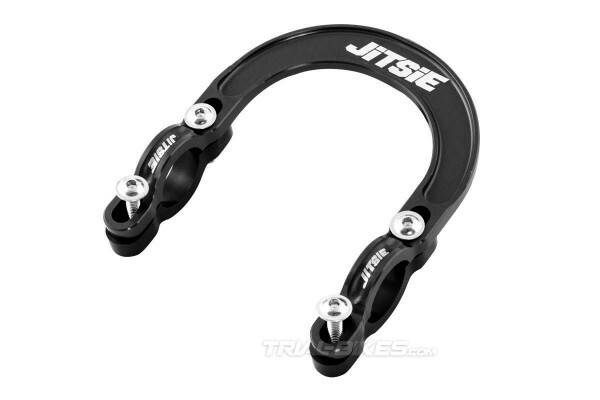 - Anodized red or black, with white Jitsie logo. - Supplied with a little plastic bag, including a free Jitsie sticker. - 71.8g (20”) and 76.5g (24”/26”) (+bolts at 16g a set).